Esther Gokhale author of 8 Steps to a Pain-Free Back: Remember When It Didn’t Hurt, Pendo Press 2008 and Liz Koch discuss the importance of sitting, bending and feet in this fascinating look at everyday ways to resolve chronic back pain, discover a supple dynamic psoas muscle, and regain overall ease of movement. 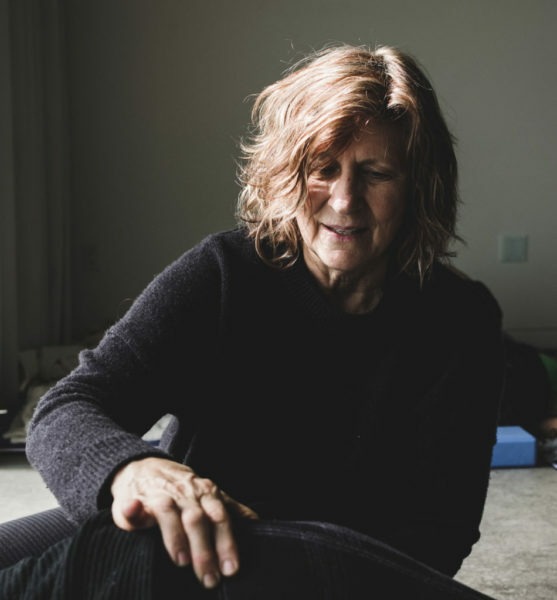 Author, teacher and therapist Esther Gokhale explains how our society’s view of a healthy spine has drastically changed over the past 100 years due to fashion and industrial design, and why back pain has become a huge problem. Gokhale’s international insight crosses all social boundaries to look at the human being in motion; what healthy movement is, and how we can recover our ability to stand, sit or bend and feel great. Gokhale’s suggestions for proper sitting, hip-hinging (bending over), resting/sleeping and vibrant foot work, can lead to a healthy psoas and a vibrant core. Together we discuss the simple changes in everyday behavior that have the power to not only heal but also return a person to a time when movement was fun.